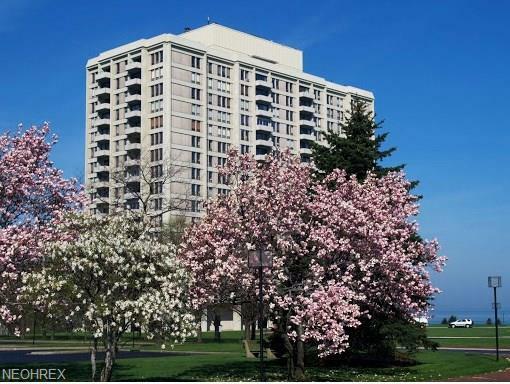 Lovely light-filled corner suite with western exposure offering stunning views of Lake Erie & the glittering city lights in a building that can not be compared to anything else on the market in Northeast Ohio! Spacious floor plan featuring expansive rooms define this offering. Large living and dining areas transition to the stylish kitchen which features integrated appliances that blend seamlessly w/ the clean lines of the white gloss custom cabinetry and provide the open plan lifestyle that is so desirable today. Two spacious bedrooms, two full baths, and a fantastic direct view of the downtown skyline from the living room and bedroom! 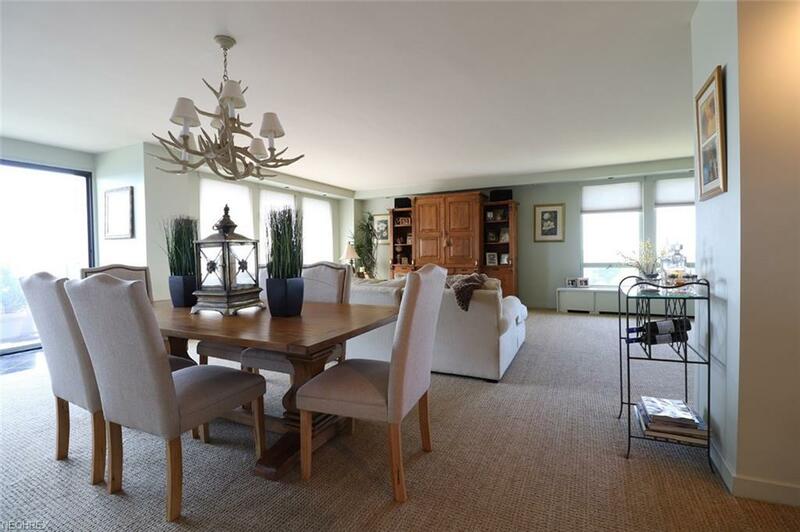 Situated on 18 lush, private acres in a gated community in the historic village of Bratenahl, just minutes from downtown Cleveland, University Circle, and major hospitals and universities. 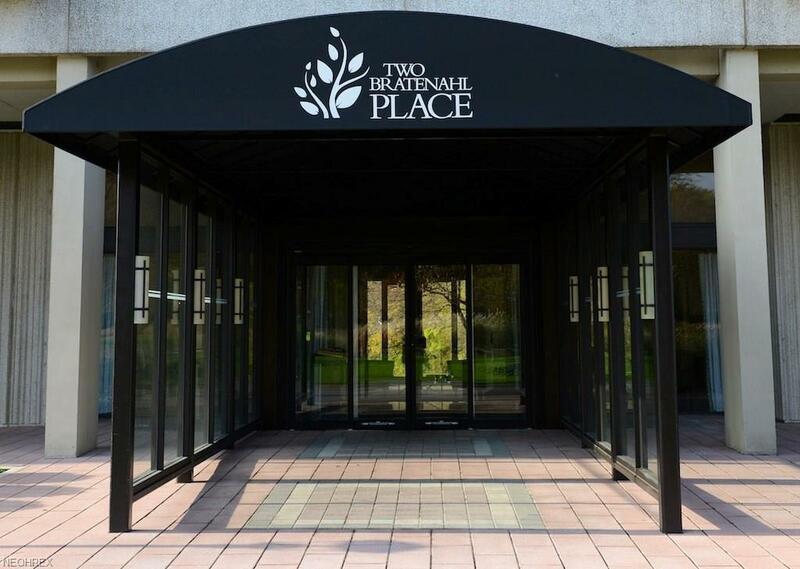 Enjoy all the amenities of Bratenahl Place including concierge service, 24 hr. security, outdoor saline swimming pool, clay tennis courts & winding walking trails and gardens. Next door, at 1 Bratenahl Place is a restaurant & lounge, fitness center, and beauty salon. If you are looking for the excitement of city adjacent living, but also crave a serene & natural setting, dont miss the opportunity to own this gorgeous space! 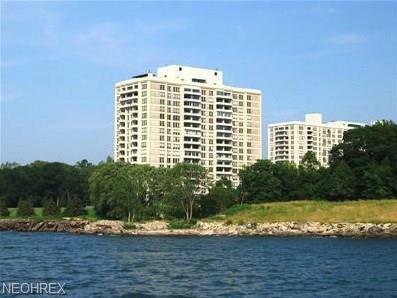 Listing courtesy of Keller Williams Greater Cleveland. Listing provided courtesy of Keller Williams Greater Cleveland. Listing information © 2019 NEOHREX Multiple Listing Service. All rights reserved. The data relating to real estate for sale on this website comes in part from the Internet Data Exchange program of NEOHREX. Real estate listings held by brokerage firms other than Howard Hanna are marked with the Internet Data Exchange logo and detailed information about them includes the name of the listing broker(s). Information Deemed Reliable But Not Guaranteed. The photos may be altered, edited, enhanced or virtually staged. Data last updated 2019-04-22T13:07:25.093.